Congratulations to Gabriel Magnuson! 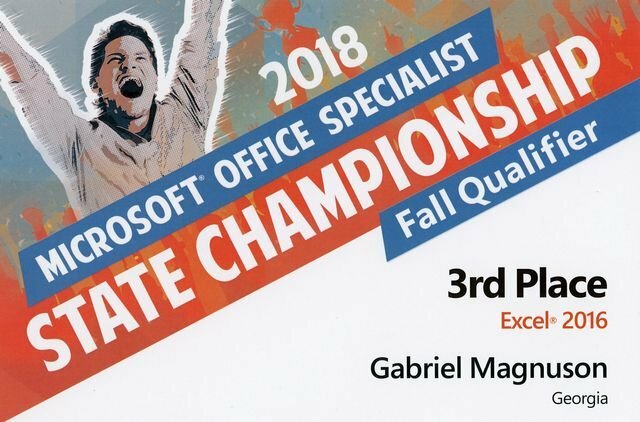 Gabriel was the 3rd place qualifier in the state for the 2018 Microsoft Office Specialist in Excel. LFO is proud of Gabriel’s academic achievements.